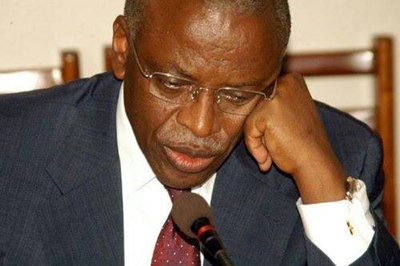 Is Amama rethinking presidential run? John Patrick Amama Mbabazi’s statement last week on a radio talk show was surprising and controversial. Or, maybe not? He indicated that were he not to be selected by the NRM delegates’ conference as the flag official bearer of the NRM, Hope Mwesigye, to represent him at their deliberations to front a single candidate. In other words, he does not want to be the Opposition candidate. Quite a bit can be read into this sensitive statement. Probably the majority of Ugandans know that both Mbabazi and President Yoweri Museveni are birds of the same feather. Nevertheless, they are still dismayed that Museveni had overstayed his usefulness. And whereas they would have preferred some other politician from another ideological setting, Museveni appears to have rendered the members of the Opposition irrelevant to this coming election. He has presumably made injurious inroads to the operations of the other parties to such an extent that there is a perception that they are merely playing fiddle to his NRM desires. That leaves the real contest within his own party. Many felt that the ascendancy of Mbabazi as a challenger to Museveni was a case of tolerating the devil you know other than sailing completely to uncharted waters of another candidate from tired Opposition. So, for Mbabazi to say that he would not contest were he to be defeated in the NRM delegates’ conference, he would slink off, would amount to giving Museveni free reign. Or is it? Since he announced his bid for the top post, Mbabazi has had a tremendous amount of opposition from his former party members. There have been threats of all kinds upon his person and his presidential bid to the extent that all the apparatus of the government and the NRM party are being brought to bear against his candidacy. Political pundits know that when he was in government, Mbabazi made the most of his tenancy to infuse himself into the NRM structure. It is known that he controlled the appointments of cadres in the party and the government at all levels. This was because Museveni had trusted him to the extent that he allowed Mbabazi to have a free hand in their operations. So when he quit, it was assumed that he would take along the great deal of the party behind him. That may actually explain Museveni’s febrile reaction to the Mbabazi bid. He (Museveni) has gone to all extents to block any inkling that Mbabazi may be getting ahead of him in the campaign. In other words he wants to scare Mbabazi to the extent that he (Mbabazi) will fail to pose a spirited challenge. 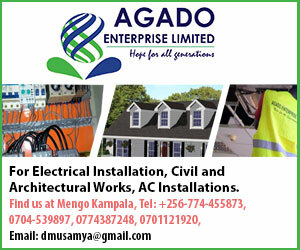 Has Museveni succeeded in that venture; and is it why Mbabazi appears to be developing cold feet? There are Museveni proponents who say that Mbabazi has no message beyond what the NRM is posing; that Mbabazi does not actually criticize Museveni for the lackluster performance of the government. They point to Mbabazi’s recent utterances that show that there are merely a few areas that the NRM regime would go to improve its performance, otherwise it has done well. Now Mbabazi says that it is especially in the area of the serial corruption that he would come in. If that is the case then the issue is: who is going to be able to beat the other in those areas which have become a by-word for the NRM regime: such are in; rigging and bribery; or to put it in another way, thuggery and who has a lot of money to throw away. To the extent that Mbabazi was in all the security services, there is a perception that he has nurtured a following that will do his bidding when he goes about his campaign. A good indication of that was on his return from a trip abroad the other week. A day before, the government laid out an Impressive security detail all along Entebbe Road from the airport, intended to block Mbabazi, or probably make certain of his arrest. It is interesting that he did not come on that Sunday. This may have shown an intelligence lapse on the Museveni side, because then Mbabazi came in the next day, complete with a security detail of his own. Who bested who? When Museveni used to send Mbabazi on those various errands, it is believed that he amassed a lot of money for himself in the process to the extent that despite Museveni having the benefit of the consolidated fund, one cannot easily wish away Mbabazi financially. It is said that his acolytes are well funded, moreover with cash and not mere promises.